On January 12, 1992, a chilly wind blew off the waters of Jamaica Bay, standing the flags on edge at nearby Aqueduct Racetrack. 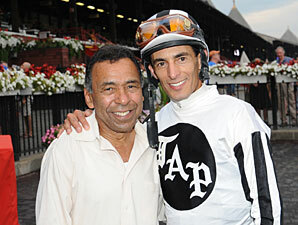 Jockey Angel Cordero Jr. confidently strode into the paddock where 11 Thoroughbreds were being saddled. 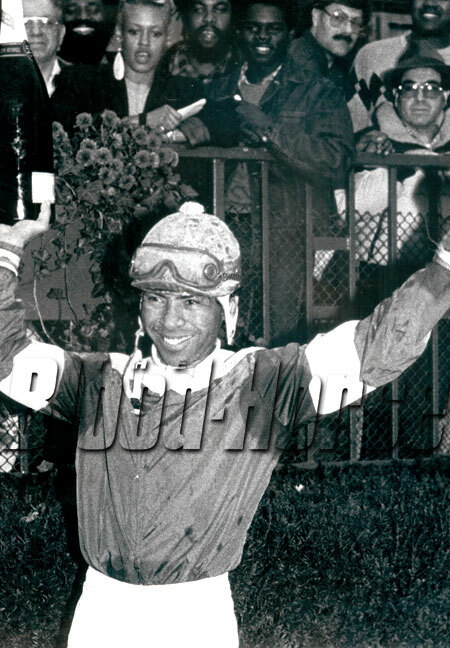 Cordero’s confidence was a reflection of his amazing ability as a rider, an ability that had won the Puerto Rican native more than 7,000 races and carried him to victory in three Kentucky Derbys. This race, however, was no Kentucky Derby. It was a bottom-level contest for maiden claimers. Cordero, 49, at the time and a grandfather of two, flashed his famed smile for the fans gathered at the railing. The other riders in the race, most of whom were young enough to be his grown sons, respected Cordero immensely, not only for his accomplishments, but for his intensely competitive nature. Angel approached his mount, Gray Tailwind, and was given a leg-up into the saddle. Then Cordero momentarily mashed his whip between his teeth while he used both hands to check the bridle and reins. He shifted his weight, first right, then left, checking that the saddle was secure. 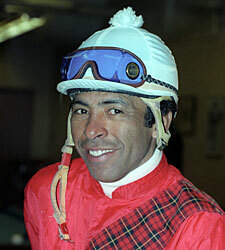 It was a ritual Cordero had practiced thousands of times during his more than 30 years as a jockey. Despite his cautions, Cordero had, by his own count, been in 23 spills, breaking nearly every bone in his body at least once. Yet the fear of injury was something Cordero never let creep into his mind. For once a champion jockey’s concern for his safety outweighs his will to win, he is all but finished in the sport. On the racetrack, Cordero warmed up Grey Tailwind. Not far away, jockey John Velazquez, 20, was warming up his mount, Deal Rowdy. Velazquez had, like Cordero, come to New York from Puerto Rico. He had graduated jockey school nearly two years before. 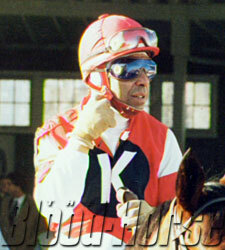 Cordero had seen a tape of the youngster ride and encouraged him to come to the U.S. Velazquez, who spoke little English at first, was invited to live with Cordero and his family. Angel then adopted John as his protégée and began teaching him everything he knew about riding. 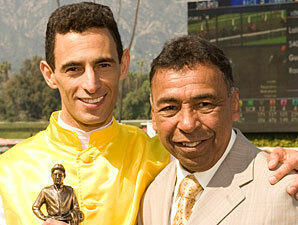 Why would Cordero share so much with Velazquez in this highly competitive sport? Cordero was repaying the kindness another Puerto Rican rider, Eddie Belmonte, had shown him when he first came to this country and was struggling to find success. At the starting gate, Cordero entered stall #2 on Grey Tailwind, and Velazquez entered #4 atop Rowdy Deal for the six-furlong sprint. Then, the starting gate doors sprung open and the field furiously flew into stride. A horse named Sytanic shot to the lead. Down along the inside rail, Velazquez pushed his horse to keep up. His arms were pumping hard, but Deal Rowdy was already beginning to tire. Cordero had Grey Tailwind racing along the inside rail behind Velazquez, only Cordero was sitting relaxed in the saddle, still waiting to make his move. As the field leaned into the far turn, Cordero loosened his grip on the reins, giving Grey Tailwind his cue to accelerate. The Thoroughbred lengthened his stride and was gaining quickly. The rest was a blur to both Cordero and Velazquez. Deal Rowdy’s left leg suddenly snapped. 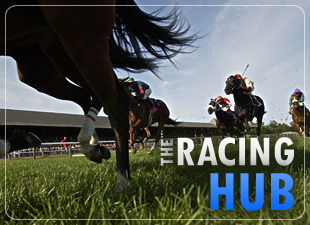 Velazquez and his horse went crashing to the cold, hard ground. It happened so fast, Cordero had nowhere to go. Grey Tailwind tripped over the fallen horse, and Cordero was launched head-over-heels. Cordero slammed into one of the metal poles holding up the inside rail, and his battered body lay wrapped around it. Two other riders and their horses also fell. Cordero and Velazquez were rushed to the hospital. Both were unconscious. Deal Rowdy’s injury could not be treated. Within minutes, the Thoroughbred was humanely destroyed by the track veterinarian. Velazquez awoke in the same hospital room as Cordero, his friend and mentor. At first, the young jockey thought he was dreaming. Sadly, it was all too real. Velazquez was lucky. He suffered only bumps and bruises. Cordero, however, was hurt much worse. Cordero’s right elbow and four of his ribs were broken. But the champion jockey had also suffered massive internal injuries. 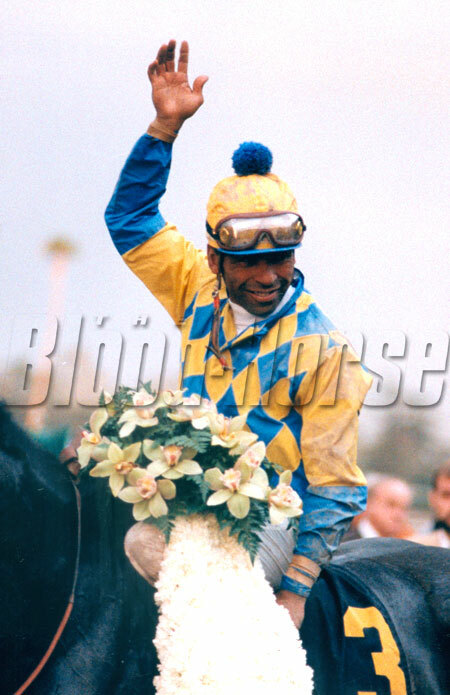 That night, Cordero told his wife, Marjorie, a former jockey who then trained racehorses, to let the doctors know that he could feel he was bleeding internally. The doctors operated on Cordero, removing his spleen, while the two families prayed he would survive. Cordero had nightmares for five straight nights in which all he could see were the orange silks he’d been wearing somersaulting through the air. He spent nine days in intensive care, and 31 days in the hospital overall before the doctors allowed him to go home. The accident essentially ended his riding career. Still, more than three years later, in 1995, the ever-resilient Cordero briefly returned to the saddle in Puerto Rico and the .US. before officially retiring. Today, Cordero serves as Velazquez’ agent, and the pair continue their very close relationship. From left to right; Andy Beyer, John Velazquez and Angel Cordero.